Obituary for Elizabeth Dee (Anderson) Jones | Herald & Stewart Home-Funerals, Inc.
Elizabeth Dee Anderson Jones, wife of William Jones, of Mt. Sterling, passed away Thursday, September 27, 2018. She was a 76 year old native of Montgomery County, daughter of the late John and Sally Bigstaff Anderson, a retired cook and member of Sharpsburg Greater First Baptist Church. In addition to her husband, she is survived by 3 sons, William Jones Jr. of Ohio, Steven (Bridigett) Jones and Bruce Wayne Jones, both of Mt. Sterling, 2 daughters, Yulanda Kuykendall of California and Latricia (Gene) Garrison of Mt. Sterling, 10 grandchildren, 12 great-grandchildren, a sister, Emma Fletcher of Mt. Sterling, a brother, Greg Anderson of Ohio and a special niece, Ladonna Jones of Georgia. 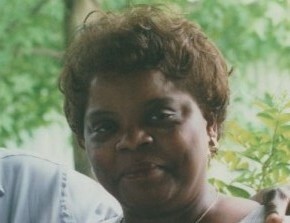 Her funeral will be 2:00 Wednesday at Herald & Stewart Home for Funerals with burial in Olive Hill Cemetery. Visitation is 11-2 Wednesday.